Doctors, Nurses and Hospital Managements should note the duty placed on them by the recently signed Compulsory Treatment for Victims of Gunshot Act 2017. Section 12 provides that “. 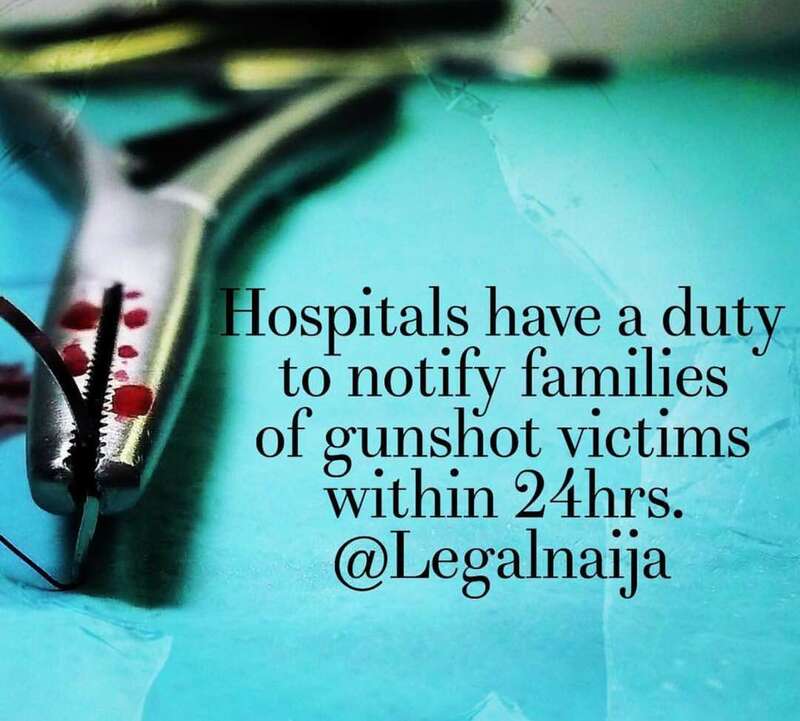 It shall be the duty of the hospital that receives any person with gunshot wounds to notify the family members or relations of the victim as far as they may ascertain within twenty-four hours of becoming aware of the victim’s identity”.